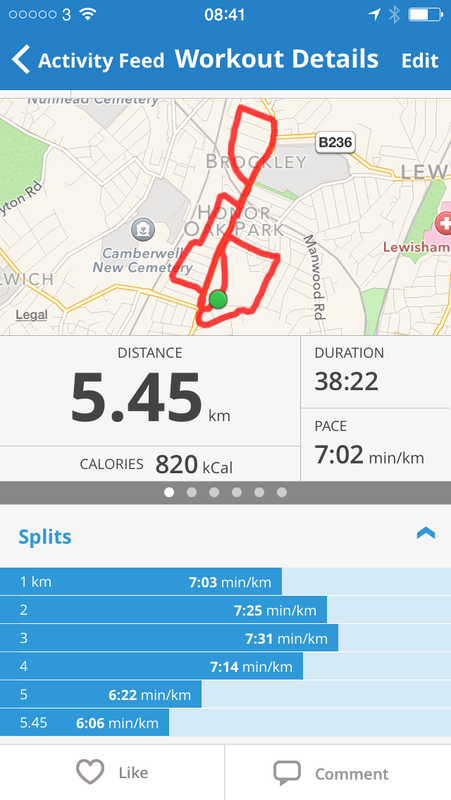 So it’s two weeks post London Marathon and I’ve just come back from my first run since the race. I read an interview with Mary Keitany a little while back – it might have been in the London Marathon final instructions mag – and she said that you should rest completely for two weeks after the marathon to give your body time to recover. If two weeks off is good enough for Mary Keitany, it’s good enough for me! It was nice getting back out there today mind you, and I’d really like to maintain a good level of fitness. I’m not planning on any stupid long runs for a while (or ever), but it was lovely to have got to a point where 10 miles was a very comfortable distance, so I’d like to keep that going if I can. We’ll see though. Another reason for getting back out there is that I’m entered in the Bupa 10,000 at the end of the month and while everyone keeps saying to me that I’ll just breeze through it, I know that this will not be true if I don’t do any running between now and then. I’m notoriously deadline driven and really need a goal or race or something to aim for to help push me out of the door on a regular basis. Isn’t it a good thing that I entered a 10K a month after a marathon then? Yes. Yes it is. Speaking of needing a goal, I noticed that Juneathon opened for entries this weekend. I’ve done a couple of Janathons, but never a Juneathon before and it might be time to change that. The only thing that gets slightly in the way is that I’m off to Glastonbury at the end of June, which will give me plenty of opportunity for exercise what with all the walking and dancing, but might prove challenging in terms of blogging. Ah what the hell, I might as well give it a go. What’s the worst that can happen…?